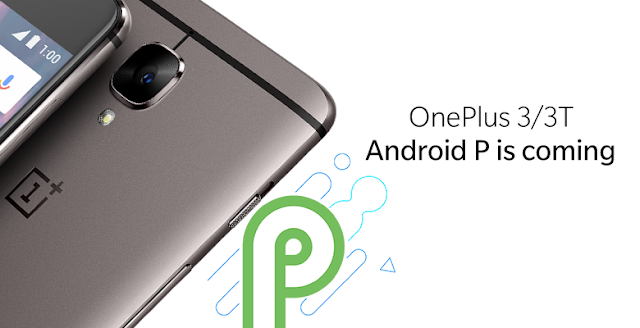 OnePlus Promises Android P Update For OnePlus 3/3T - AndroGuider | One Stop For The Techy You! In a move we didn't see coming, OnePlus has announced that it will be upgrading the two-year-olds OnePlus 3 and OnePlus 3T to Android P. OnePlus had previously promised the Oreo 8.1 update for the two smartphones. However, last month, OnePlus closed its Open Beta program for the OP3 and the OP3T, leaving the two devices on Android 8.0. This, along with the fact that it has been eight months since the release of Android 8.1, made us believe that the OP3 and the OP3T will not get the Oreo 8.1 update. Countering expectations, OnePlus has now announced that the OP3 and the OP3T will skip Android 8.1 and get Android P instead. As mentioned before, there will be no more Open Beta builds for the OP3/3T. The two phones will hence directly be getting the stable Android P update. According to OnePlus's maintenance schedule, the last software update for OP3/3T will be in November. That should mean that the OP3/3T will get Android P by November, but as OnePlus has mentioned, the OP6 and the OP5/5T will get Android P before the OP3/3T. Since OnePlus will be prioritising the more recent phones, you will have to be patient for the Android P update on your OP3/3T. That said, the update will definitely come, if OnePlus stays true to its word.